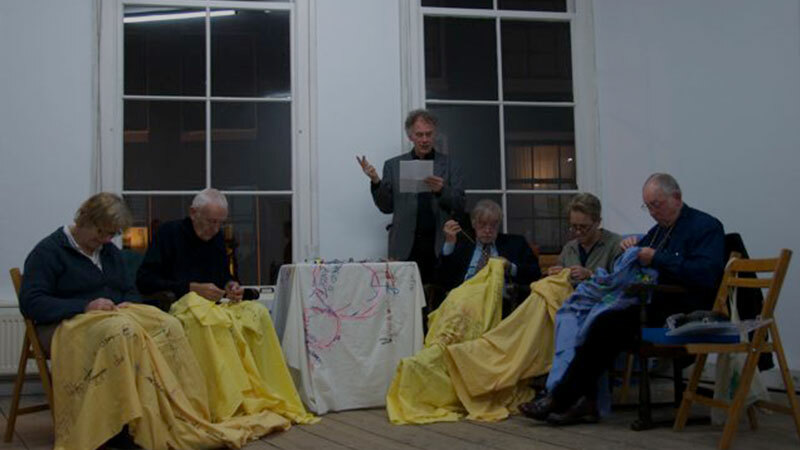 In the Museum Night (02-11) I was invited to do a performance in Castrum Peregrini embroidering my tablecloths of freedom. I invited Jos van Hest a poet, to make a work about this freedom piece. 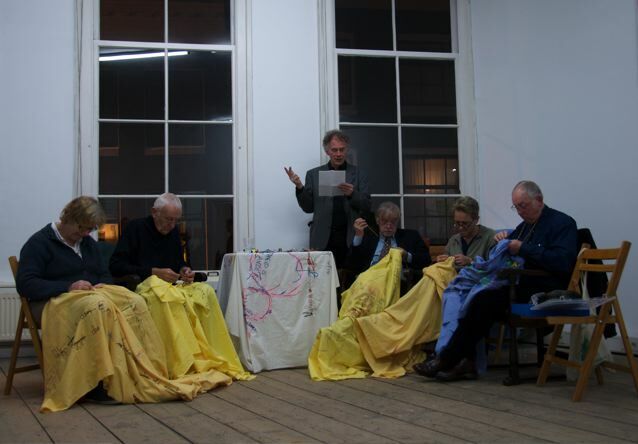 As people were embroidering, Jos was performing his poem. It was a very special happening for everybody, the public as well as for the 17 performers.